So, who is ready for some professional development? Oh wait, is it still summer? Well, one thing we know is that teachers still plan in the summer. However, as educators, we like to plan at a relaxed pace so that there is not too much stress involved. When planning, of course you have to plan for your students, but it is also important to plan for the staff members that will be working with you each day to teach the students. 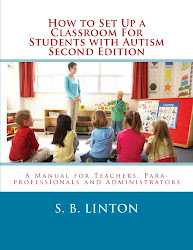 The Teacher as a Leader Series for Special Education Teachers is a professional development tool that can be edited to fit the needs of your school or your school district. It was created to help teachers be the leaders in their field (Special Education) within their school building or school district. I know in my first few years of teaching, I would sign up to present mini-trainings for the team members in the building. Or, I would bring in the handouts, information from books or websites to share with the team. Now, some of these trainings took place with the 3 members of my classroom team for 20 minutes at a time. Others, took place with larger groups for longer periods of time. I know there are lots of us like that out there. Don't be shy. It's okay. We are educators and we definitely like to share information. 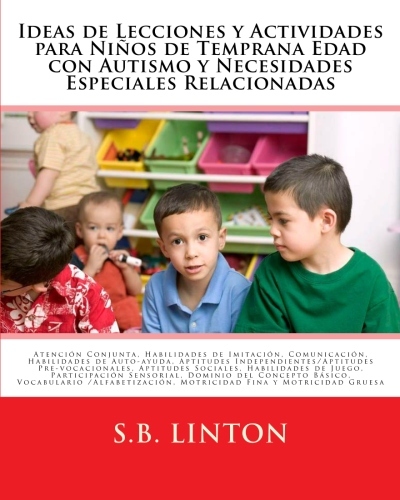 What I have found throughout the years is that many teachers have the skills and knowledge and information about teaching children with autism but they may not have the time (due to the nature of the job) to devote to putting together a presentation. 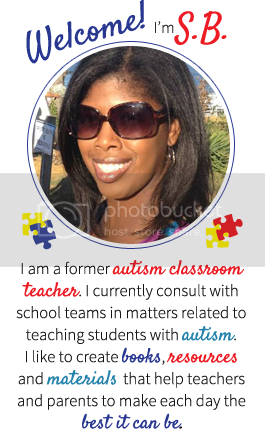 Also, many teachers work with a number of adults (both in general education and special education) who may need more information about working with students with autism. This product this series can support efforts of professional development on both a large and small scale. It will give teachers a starting point to creating the type of PD presentation that they would like to deliver to their colleagues. There are 10 professional development trainings in the series.